The following testimonials were written by just some of my satisfied sellers and buyers. They have all been kind enough to give me permission to share their experiences. Their letters and words are very gratifying. It seems that my down-to-earth and honest approach has earned me many friends. Thank you for your support. "Sunny Brar is an awesome person to work with. My husband and I were connected with Sunny through a family member and after our first meeting together, we knew that Sunny was the guy we wanted to help us find our very first home. My husband and I had many different ideas in our mind of where we wanted to live and whether or not we wanted a house or townhouse. Within our first week of showings, Sunny helped us realize quickly what we liked and didn't like. He was patient, kind, flexible with his schedule, always on time, and overall a very genuinely honest person to work with. After looking at various homes, Sunny helped us find the home we had been looking for and we were able to move in with our preferred dates.It is important to be comfortable and be able to trust the person who is helping you, possibly making the biggest purchase of your life, and honestly, we felt Sunny did that for us. He always gave us his honest opinion and had our best interest at heart. We would definitely work with Sunny again and recommend him to anyone looking to buy or sell their home." "Where do I begin? Sunny is a very honest, respectful, and trustworthy person. These qualities are usually hard to find in most realtors. He was always available, and responded in a timely manner, even while he was on vacation! Finding a house can be a very stressful experience, but with Sunny, it was a very smooth process. We feel very lucky to have met Sunny, who is not only a great realtor, but an amazing human being as well. He is such a nice person, and I seriously cannot write enough." "I had spoken to a few realtors before coming across Sunny, and he stuck out because he came out and said what I really wanted to hear from my realtor. As a first time home buyer, I had a lot of questions and concerns, and Sunny explained the process to me and made me feel comfortable. Compared to other realtors I had previously talked to, Sunny was not pushy or over-aggressive with his own agenda. He fulfilled my needs and gave me all the information I needed. Sunny is a great guy and I would not hesitate to recommend him to my family and friends!" 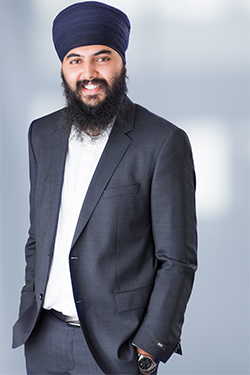 "Sunny Brar helped us successfully purchase our first home. As first time home buyers we were unsure of a lot of things. He eased our anxiety and showed us various houses that fit our budget and our family needs. Every step of the way, Sunny kept us informed about the process/options and at the same time allowed us to make our own decisions. His expertise, patience, and flexibility made the house hunting experience less stressful. We were able to approach him with questions and knew that we were getting the best advice possible. His personable attitude and confidence reconfirmed our trust in him. As a result of seeking Sunny's services our family ended up with a beautiful home that fosters our needs. We are glad we sought Sunny as our agent and would highly recommend him."